For the Beatles Fan Who Has Everything? 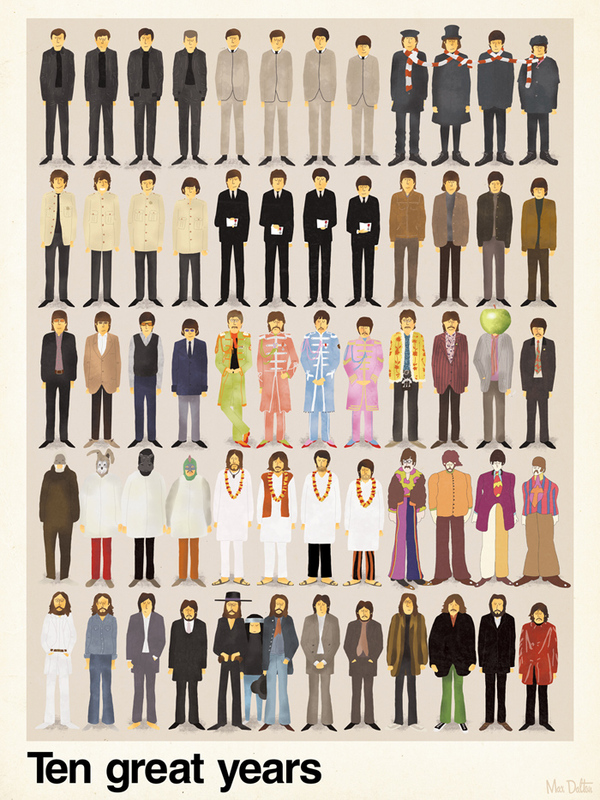 For a last-minute Christmas gift who could go past this really fine Beatles poster? Too bad it’s sold out. Click on the image to see a larger version. Originally released in the lead up to Christmas 2010, this has been re-printed again this year by popular demand. Only 250 copies were made though…. Visit artist Maxim Dalton’s site for more. I like his “Guitar Lessons” poster too. This entry was posted in Beatles, Beatles Collecting, Beatles Music and tagged Beatles, Beatles Collecting, beatles poster, dalton, maxim, Maxim Dalton poster, Music by beatlesblogger. Bookmark the permalink. Too bad the rooftop Beatles are placed out of chronology. When the reader receives a notification e-mail, there’s a unsubscribe link at the bottom of it. This way they can unsubscribe from the comments and won’t receive any notification e-mail again.